The Family and Infant Neurodevelopmental Education (FINE) programme is an educational pathway in infant and family-centred developmental care for all healthcare professionals working in neonatal care. The overall goal is to improve the outcomes for babies and families in neonatal care. The curriculum includes themes such as neurodevelopment of the newborn, the relationship between parents and their baby, management of stress and pain, and observing and understanding the baby’s behaviour. The concept has spread to many parts of the world and thousands of healthcare professionals have completed at least the first level of the FINE curriculum. Due to the sustainable impact on the implementation of family-centred care, FINE is one of our lighthouse projects in the field of education and training of the multidisciplinary neonatal team. What was the idea behind FINE and what was the starting point? FINE began as in-service training at St. Mary’s Hospital in London, then home to the UK’s NIDCAP Training Centre, but we soon realised the need to make good quality education accessible beyond our own unit on a scale that would not be possible for NIDCAP. How did you put your idea into practice? Start-up funding from parents allowed Inga time to develop training materials. Nikk Connemann (project consultant) as well as Monique and Esther van der Heijden (Co-author) in Rotterdam shared the vision of creating a universal programme that would support NIDCAP in practice and we started working together in 2012; by 2013 the FINE curriculum had taken shape and the current training pathway was formalised with Level 1: Foundations and Level 2: Practical Skills, and we began to recruit experienced and talented faculty. When did you start to hold advanced trainings across Europe? The first centre outside to try FINE Level 2 was the Institute of Neonatology in Belgrade, Serbia in 2014. NIDCAP training had been introduced but as in many other low-income countries a more affordable option was needed. Six nurses completed the level 2 course, translated into Serbo-Croat. The EFCNI gave us platforms for spreading information with invitations to speak at the jENS conference in Budapest 2015 and the annual Parent Organisations meeting in 2016. With this support awareness of FINE has grown and grown. EFCNI facilitated translations into German and enabled training at both levels to start in Germany in 2016. They encouraged and supported parent organisations in Greece (2016), Cyprus (2017), Romania, and Hungary (2018) to set up FINE training. These are brave moves in countries where parents often do not have opportunities to care for their babies during neonatal care. Enquiries are coming from more countries in the Eastern side of Europe and many other countries around the world. NIDCAP Training Centres in eight countries are now licensed to run FINE, with three more preparing. The UK – Rotterdam partnership has delivered FINE to many other countries that are not eligible for a license. The NIDCAP Federation International has endorsed the programme. Where do you think, the most notable changes were achieved? Staff surveys in the UK show a strong conviction that FINE improves practice. In France and Belgium, it has been so well received that it has attracted state funding. In the absence of data by which to compare before and after practice it is difficult to measure precise outcomes but we have encouraging feedback from units such as Helena Venizelou in Athens, Greece, and in Cluj in Romania where new practices such as kangaroo care were introduced rapidly, parental access was opened up and staff were enthusiastic about the dramatic changes they made in spite of previous forebodings. More centres in these countries are now asking for FINE and we are very proud to be supporting the work of parent organisations in this way. 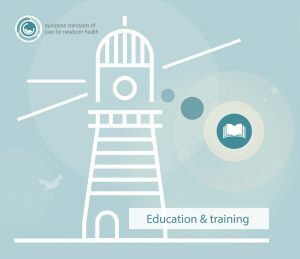 Countries with well-developed infant and family centred developmental care, such as Sweden, are reporting that FINE has revitalised interest in NIDCAP based care and we are seeing a growing number of people enquiring about further training, which will be important for developing faculty to make FINE sustainable.